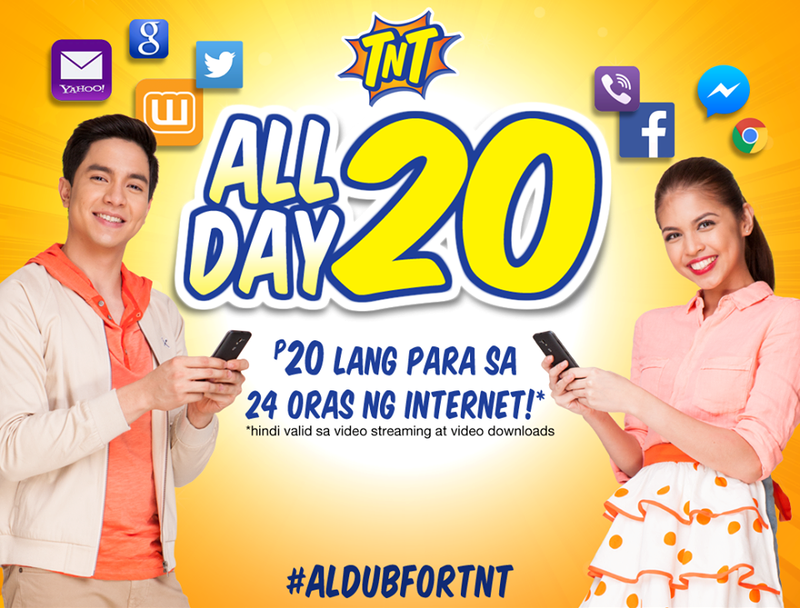 The new promo from Talk N Text which is unlimited internet for 1 day, the only downside of this is that you can't use the promo for video streaming like YouTube and BitTorrent application and the likes, in other words the UNLI 20 promo is good only for browsing and mobile games. Amount: P20.00 with 1 peso maintaining balance or any other active promo. Mga KaTropa isa nanamang sulit offers mula sa Talk N Text, sa poster palang panalo na. 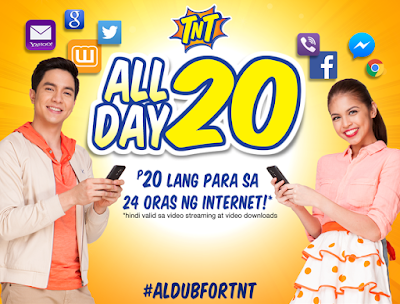 #ALDUBFORTNT mga KaTropa. Ai hindi po kau nagbabasa, hindi nga daw pwede sa video streaming and youtube.. browsing & games only. .
Pwede po ba tong ma extend for 5pesos? no reply comment ?? ... so it means scam..?? can i use this on skype call? Can I also use my apps such as weChat, whatsapp, viber, etc.? Hindi sya pwede youtube ? Pwede po ba ma extend for 5pesos? OK paba ung promo na to? Pwde po ba Audio Call using FB Messenger, Skype or Line? pwede po bang mag download ng videos sa ibang sites ?? Pwdi po bang mag upload ng picture in messenger ? available paba tong promo na to?? how to reg. unli internet for 15 days or 30 days? kahit anong Online Games ba ang pwede malaro nito? Ok bato sa POKEMON GO? IT is ok for POKEMON GO? maibabalik pa ba yung Sample? Pwedi po ba ang youtube? excuse me po. pwd rn ba mag update ng apps sa app store? kakayanin ba nang connection? hindi ba maubos agad? pwede po ba sa mobile legend to??? pwede po bang mag video call dito ? pwede po ba itong pang video call ?